Summit County doesn't sit alone in Colorado, there are nearby cities and other parks that should be explored, so make sure to put these places on the itinerary when you come to the area. 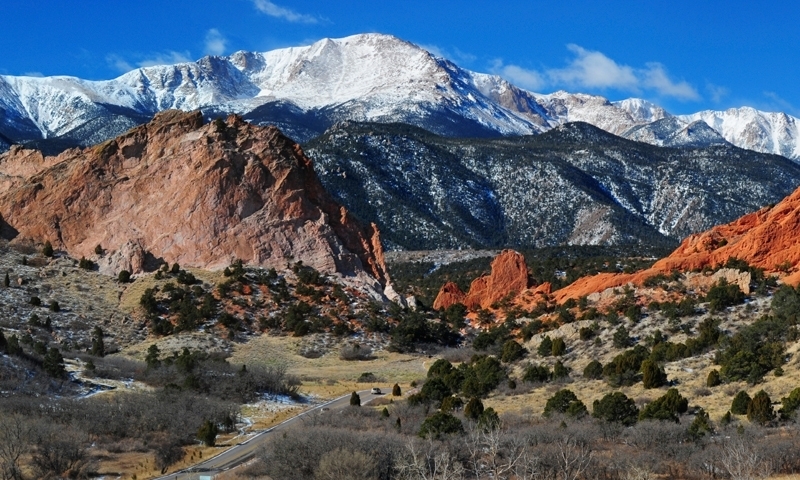 Between the views of famous Pikes Peaks and the Garden of the Gods Park, Colorado Springs has enough to call itself a natural attraction. In addition, it is home to a thriving art community, with museums and performing arts centers regularly holding events of all varieties. While many people fly into Denver only to immediately rush out to the nearby mountains, the city itself is worth a visit. The cultural attractions are astounding, with music, art, history and more. Also, Denver is a major hub for high-level restaurants and nightlife in the bustling downtown district. Take a load off your mind by dipping into the world's largest improved hot springs pool. Various degrees of temperature allow bathers to slowly increase their levels, while the spas around the springs are waiting to complete your relaxation with a massage or mud bath. Just three hours away along I-70, Grand Junction is the largest town on Colorado's western slope, making it a regional center for commerce. The town makes a great base to explore the surrounding areas of western Colorado and Utah. This is one of the oldest federally protected areas in Colorado, making it a great destination if you're traveling through the northern part of the state. The park has convenient opportunities to easily access the wilderness, with Grand Lake, Colorado's largest glacier lake, being the gem of the park. Located two hours away in northern Colorado, Steamboat Springs is home to ranches, the Yampa River, and the world-famous Champagne Powder. The mixture of cowboys, nature lovers and skiers makes the area unique to Colorado and a highlight for visitors.